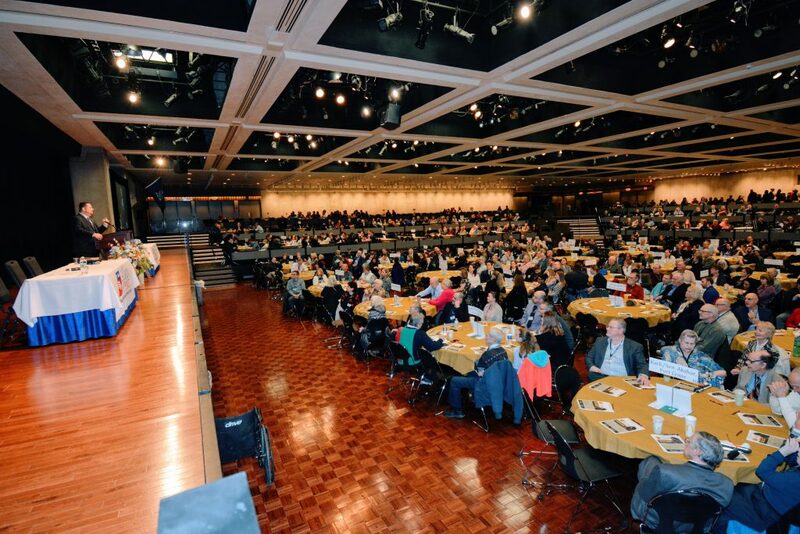 On March 19, 2019, nearly 1,200 Christians from across New York gathered at the Empire State Plaza Convention Center in Albany for New Yorker’s Family Research Foundation’s 2019 Legislative Day. The theme for this year’s event was “A New Season.” Walt Heyer of SexChangeRegret.com shared his uplifting testimony of freedom from gender dysphoria and explained the causes of gender dysphoria clearly and convincingly. Garth Van Meter of Smart Approaches to Marijuana (SAM) discussed the pitfalls of recreational marijuana legalization. In a fascinating question-and-answer session with New Yorkers for Constitutional Freedoms’ Executive Director Jason McGuire, Stephanie Woodward of the Center for Disability Rights spoke of her deep concerns about physician-assisted suicide and how it might impact persons with disabilities. Kathleen Gallagher of the New York State Catholic Conference and Kate Maloney of Students for Life participated in a panel discussion about the future of the pro-life movement in New York. State Sens. George Amedore (R-Rotterdam), Pat Gallivan (R-Elma), Chris Jacobs (R-Buffalo), Daphne Jordan (R-Halfmoon), and Rob Ortt (R-North Tonawanda), along with Asms. Marjorie Byrnes (R-Caledonia), Andy Goodell (R-Jamestown) and Nicole Malliotakis (R-Staten Island), shared their perspectives on serving in the State Legislature in a challenging political climate. Last (but not least), abortion survivor Gianna Jessen told her story and exhorted the audience to stand for life. Following the event, delivered more than 20,000 petitions to Gov. Andrew Cuomo’s office calling for the repeal of the Reproductive Health Act. The sound of hymns filled the Senate Staircase in the Capitol as New York’s Christians worshiped the Lord with song after song outside Gov. Cuomo’s office. March 19 was a wonderful day. NYFRF thanks the Lord for His blessings and thanks our many friends and supporters for their ministry of presence at Legislative Day. A gallery, including hundreds of Legislative Day photographs, is available on our Facebook page.